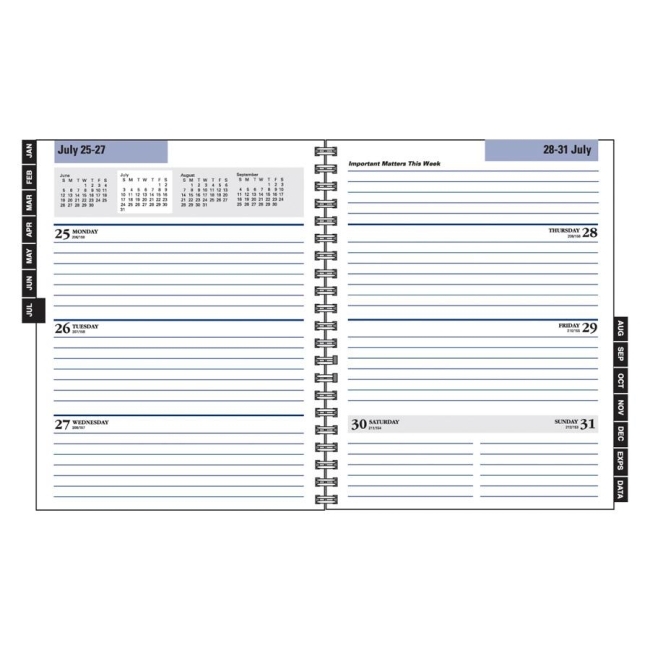 Refill is designed for use with the At-A-Glance G545 Executive Weekly/Monthly Planner. 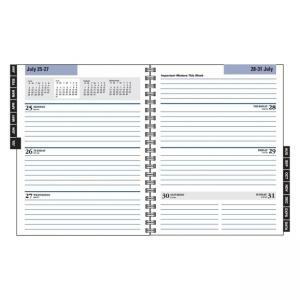 Wirebound calendar refill displays each week from January to December on two-page spreads with monthly overviews at the start of each month, note pages and a past, current and two future months reference in the upper left-hand corner. Includes a special 16-page information section. Printed on quality recycled paper with 30 percent post-consumer material. Media Size: 6.88" x 8.75"